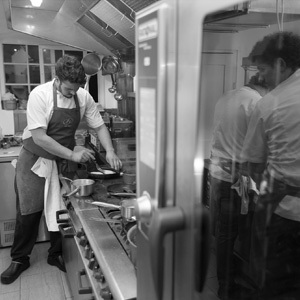 Introducing Johns House; Leicestershire's only Michelin Starred restaurant. Chef John Duffin has returned to the family farm in Mountsorrel, after many years working in some of the country's top Michelin starred restaurants, to open an exciting fine dining restaurant in Mountsorrel: John's House. John's House offers exquisite 'home grown' food using produce grown on the farm and sourced from the local area. To complement your experience there is an extensive wine list with wines from around the world. For bookings and enquiries contact our friendly reservations team.